Now that temperatures have turned cooler and the days are getting shorter, it is important to consider installing your winter tires. As the only point of contact between you and the road, the tires on your BMW are the most influential factor in road safety - especially at temperatures of 7°C and below. In cold weather, the rubber compounds in performance and all-season tires begin to stiffen and lose their grip. 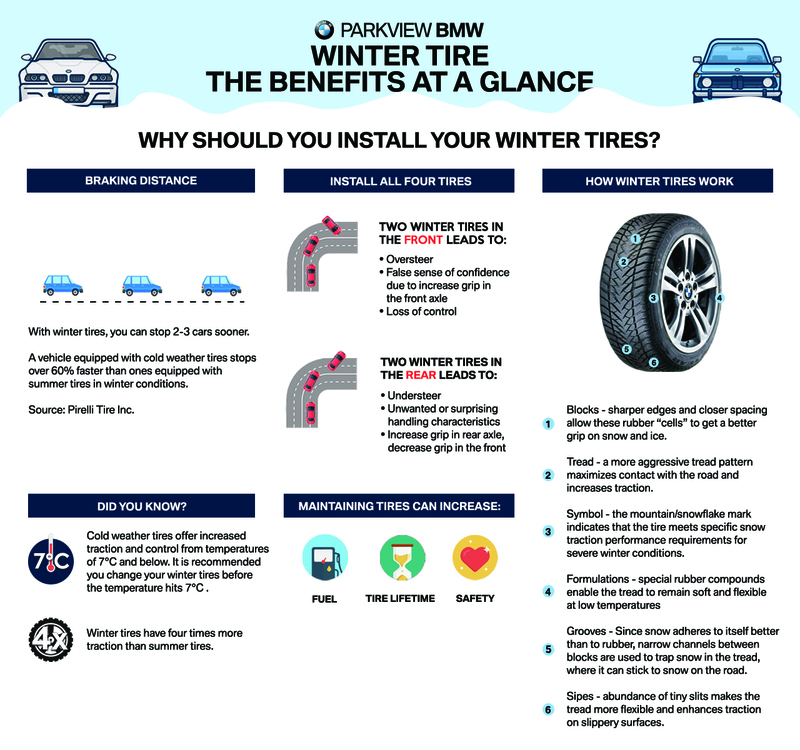 BMW-Approved Cold Weather Tires are specifically formulated to combat the cold. To view our winter tire packages click here.